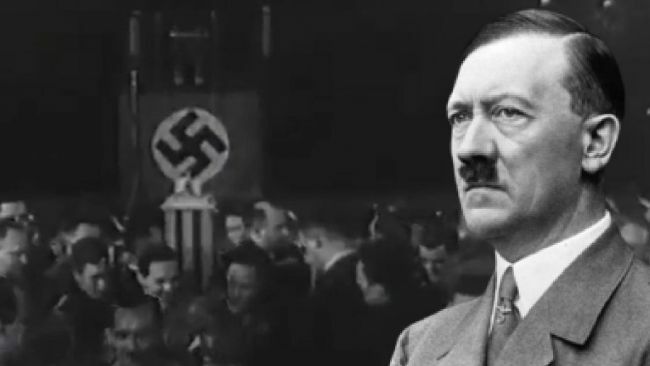 Adolf Hitler is considered by many the most evil man in the 20th century. Either you agree or disagree to this fact, He is a man who almost ruled the whole world with one of the greatest military forces in the modern era armed with many technological advances and huge ambitions that made great nations to kneel right before his invading armies. Such man with such achievements in few years should make us wonder about the secret behind this huge success which was followed by huge failure at the end leading to Germany to surrender and to be split into two nations (Eastern and Western Germany). Hitler's life was full of struggle during his childhood and adulthood when all he wanted was to join the painting school at Academy of Fine Arts in Vienna to become a professional painter. He was rejected twice and so his life went on to be homeless and joining the Bohemian army as a volunteer to start his military and political struggle. In 1925 - almost 10 years after Germany losing WWI - Adolf Hitler published his famous book (My Struggle - Mein Kampf) in which he told his struggle with life and his ambitions towards the future. In this article we feature some of Hitler's own quotes from his book to spot light on the ideology and believes of this man and either we like him or not, he had some brilliant quotes about life and philosophy of building a great nation. 1- Poverty is the alias of ignorance and sickness, whenever the three are joined the people would disbelieve in the home nation and all patriotic feelings inside people's hearts die. 2- I thank the providence that put me face to face with the cruelness of fate when I was young and helpless. 3- You can't ask a citizen to love and appreciate his home land when he is ignorant of his own history and not feeling the same welfare that other nation's citizens are feeling. 4- The majority of people would rather obey the powerful who they fear than those who try to help them. 5- The parliament would take a disastrous decision and no matter how many bad consequences follow this decisions you can't find anyone to hols accountable. 6- A man running away from taking responsibility for anything has nothing of manhood other than the name, he is a despicable coward. 7- The majority of people are ignorant and lack the political wisdom that allows them to choose their own ruler. They only follow propaganda. 8- The ignorant majority outweigh the educated few. 9- The philosophical doctrine only takes control when brave men carry the banner. 10- Ignoring and leaving a small abscess in the body without cure will eventually lead to destruction of the whole body. 11- Nature puts all beings together and watches them fighting, the powerful ones will deserve to live and gain nature's blessing. 12- Plane mind can identify the truth and define targets, but when it comes to real acts it is more likely for these thoughts to crush on reality stones. 13- A man with vision should ignore the assessment of his present colleagues to his ideas, Only next generations can judge his acts. 14- We were fortunate to suffer an acute disease so we overcome it quickly. Humanity had overcome plague quickly but it couldn't overcome tuberculosis till now. 15- Prostitution would only lead to destruction of nations. 16- We must encourage early marriage to overcome prostitution. 17- Younger generations should practice sport to become healthier and more stronger to face the temptations. 18- We might underestimate some people who live normally among us and who would show great talents and acts whenever put in hard situations. 19- Whoever wants victory should start attacking first. 20- Those who fall along side the road are incapable and disqualified but only the few who reach the destination are the qualified elite. We are not here to judge Hitler's acts which lead indeed to millions of innocent people being killed or injured. What we wanted to show is that even the most evil and cursed human beings would have some wise quotes and brilliant moments. What future of human life in cities would look like? About women :Should I Buy a Taser Stun Gun or Pepper Spray? Do you know the 7 persons who are controlling the internet ? !